After 8 long years, Red Dead Redemption 2 is finally out! It could be the most detailed, reactive and surprising open-world game yet! 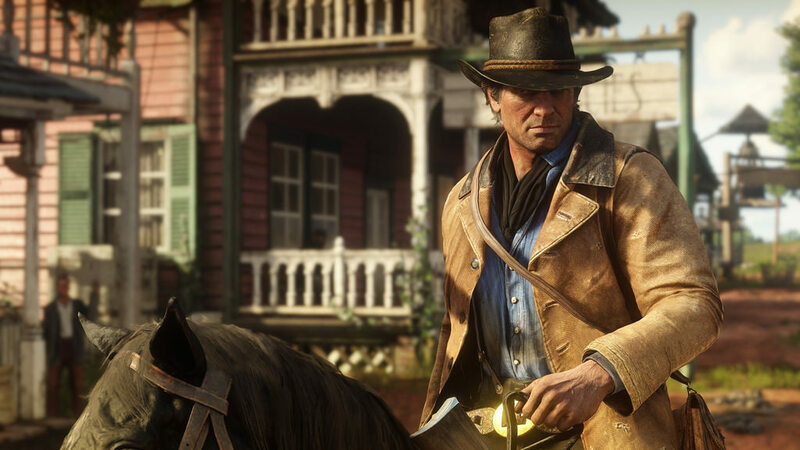 Introducing a brand new protagonist called Arthur Morgan whom we can either play as a third or first-person perspective which Rockstar have implemented in GTA V.
Red Dead Redemption 2 centers on Arthur Morgan, an outlaw and a member of the Van der Linde gang set in 1899, in the waning years of the American Old West and extinction of the age of outlaws and gunslingers. After a robbery goes badly wrong in the western town of Blackwater, Arthur Morgan and the Van der Linde gang are forced to go on the run. In order to survive from federal agents and the best bounty hunters in the nation, the gang must do what means necessary across the land of America. 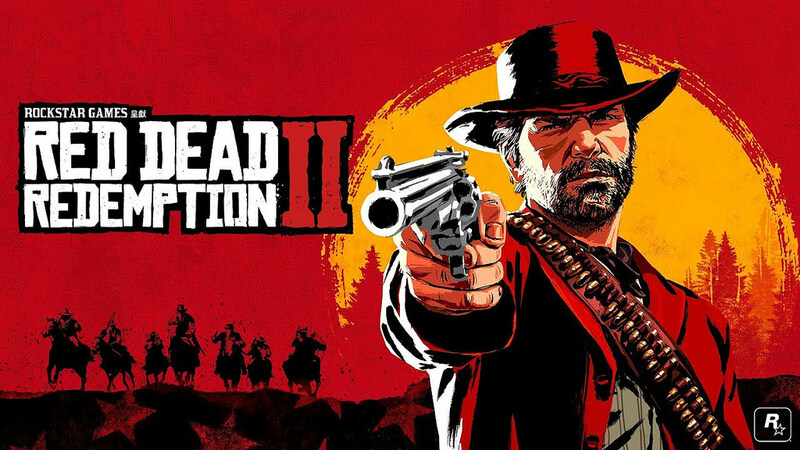 Red Dead Redemption 2 is so vast and detailed that it is quite difficult to believe, one where you can rob a train or hunt down a bounty, but also walk into a shop and examine the tins of beans on the shelf, or pay for a bath at an inn and make awkward small talk with the young woman washing you, or collect 30 different saddle-horns for your horse. With the open world deeper than before, there are plenty of different regions for you to extend your exploration like the sprawling forests, scorching deserts, bustling cities, sheer mountains and murky swamps. These areas will be inhabited by wildlife, with alligators roaming the swamps and eagles circling at mountain tops. I would say that the scenery is breathtaking! I can’t help but wandered onto the private grounds of a mansion on a plantation and started getting shot at by guards, I escaped on horseback only to find myself deep in the bayou with alligators eerily still in the water. 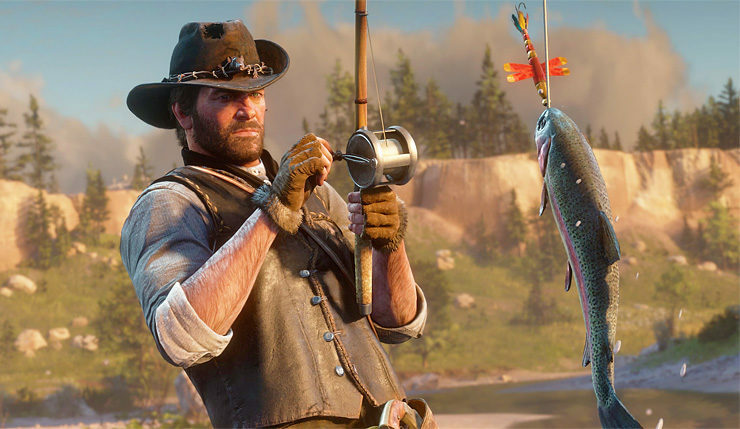 Hunting plays a major part of Red Dead Redemption 2, so it makes sense that it will have a diverse range of wildlife to kill, skin, eat, and sell. There are around 200 species of animals, birds, and fish. They all have a unique behaviour and responds to their environment. Each animal has its own skinning animation, seeing Arthur Morgan peel back its skin and roll it up so he can stow it on his horse is very cringy to me. 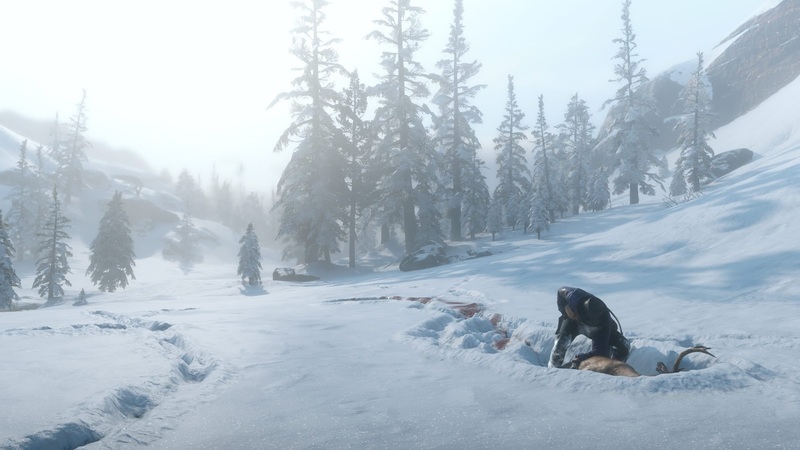 When hunting, you can follow tracks on the ground, as well as blood patch in the snow from a recently injured animal. You also have to account for wind direction to mask your scent. The quality of the meat will also be affected by how clean the kill is. In order to make a clean kill, shoot it with a bow and arrow. You can also fish by selecting the right bait and lure is essential to catching different types of fish. You’ll also be handsomely rewarded for big kills and catches. Rockstar has definitely paid to the game’s wildlife system this time around. The camp serves as Arthur’s gang base where he needs to eat and rest. If he gets covered in mud, blood, or the foul mixture of the two, he needs to wash. If you don’t want him to look like a hobo, you have to trim his hair and beard, which will grow in real-time. If you eat too much, you will gain weight, so you can’t pig out if you want to perform at your best. If you run a lot, your stamina increases. We also have to take note of what type of clothes to wear when the weather temperature fluctuate that will also affect the ability to swim. You’ll also be able to play card games, such as Poker, with friends and allies alike. Socializing with your campmates is recommended and bonding with them over a game of cards could be the way to go. All these little details will affect your gameplay. What you need to do in Red Dead Redemption 2 are very much reflected in reality and also how can we forget that it does seem a lot like “The Sims”. Horses are more like companions than resources in Red Dead Redemption 2 and we can build up their bond by feeding it, keeping it calm, grooming it and just by generally spending more time with it. The greater the bond, the better a horse will behave during battle. The horse’s testicles will shrink in cold weather are spot-on in the game. It has been spreading like wildfire on all different social platforms. I don’t know if we need that level of realism in our games, but you have to admit that it is pretty bloody impressive. I honestly never thought I will be writing a sentence like that. Rockstar clearly has put a lot of effort into making the animals look lifelike. This time around the Deadeye system also makes a return, letting you slow time to make the best shot possible with an upgrade which is having the ability to target your enemies vital organs by showing in an X-ray mode like you’re playing a Sniper Elite game. Following the footsteps of GTA V’s online multiplayer world, it will feature narrative, competitive, and cooperative gameplay that can be enjoyed solo or with a party. We can roam free and explore the world should we not want to engage in gunfights with other players. Personally, I think that Red Dead Online will be the next GTA V with no fancy cars but with your one and only horse. However, I feel that Rockstar should step up by coming up with a battle royale mode which I think could be a hit as proven by the game Fortnite and PUBG. Red Dead Online will be ready to be explored alone or with friends, and will also feature constant updates and adjustments to grow and evolve the experience for all players in November 2018. I can’t wait to explore it more when it releases for PS4 and Xbox One on October 26! I am so going to play this game till I fall over dead!